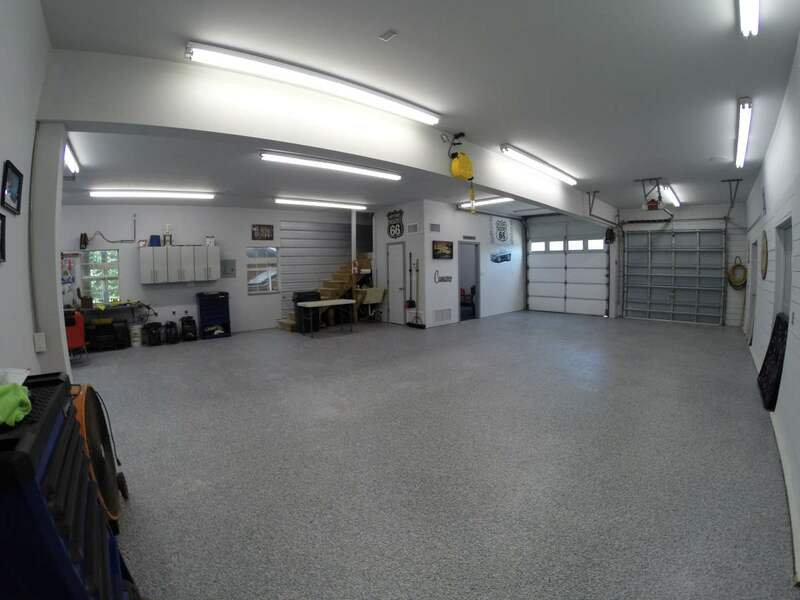 Those of us in the garage flooring industry can sometime be guilty of using industry jargon and not explaining the difference or benefits of one system over another. Sometimes a picture is worth a thousand words. The image above shows a ‘full broadcast’ system while the picture below shows a random broadcast. 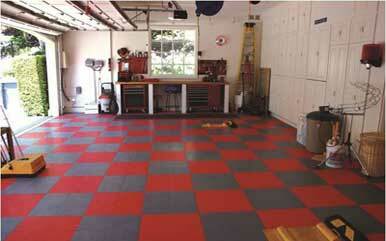 Both systems can be achieved using a variety of our garage floor coatings products. The system above was done using Rust Bullet. 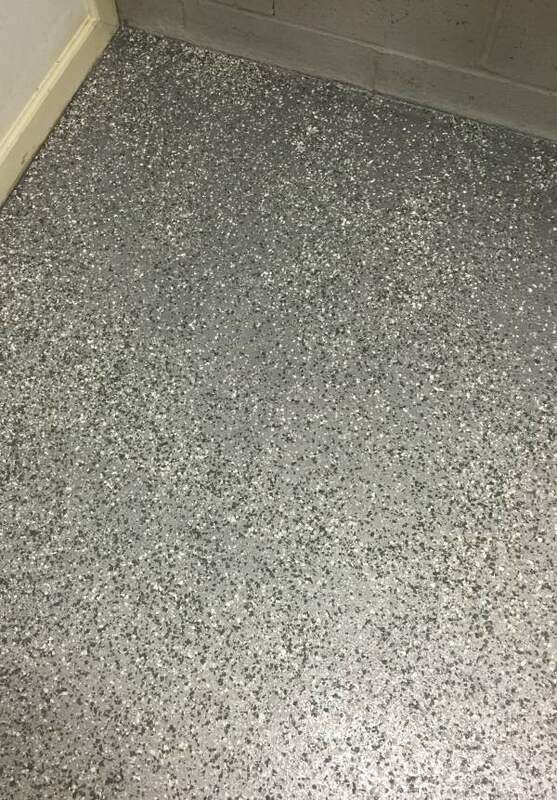 We have different epoxy resins that we use for a full broadcast of flake, versus quarts or mica. After a primer is installed, the appropriate base is applied and the media is broadcast into the base. In some systems a second epoxy coat and second broadcast is done. 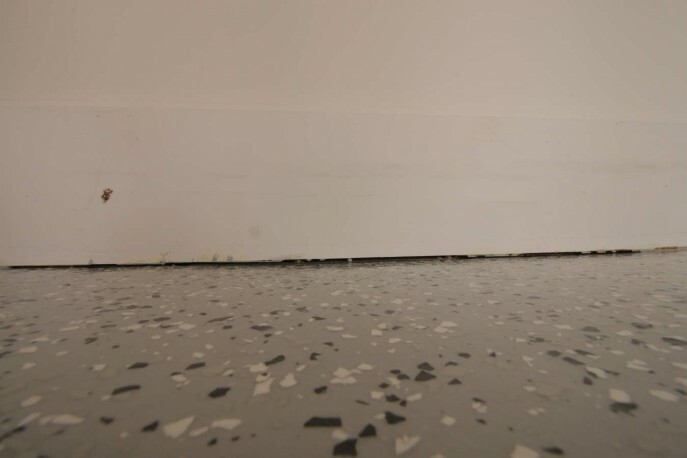 After each broadcast is dry, it is important to scrape and vacuum and loose media. A top coat is then applied. In many cases two layers of epoxy or urethane top coat is used. 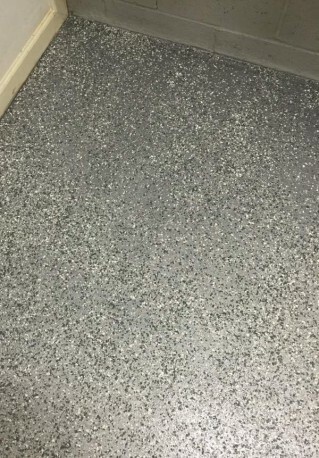 For many systems doing one clear epoxy top coat followed by a clear urethane is the best system. Random Broadcast floors as the name may suggest are a layer of garage floor epoxy, polyurea or other base garage floor coating with flakes “peppered” in for decoration. 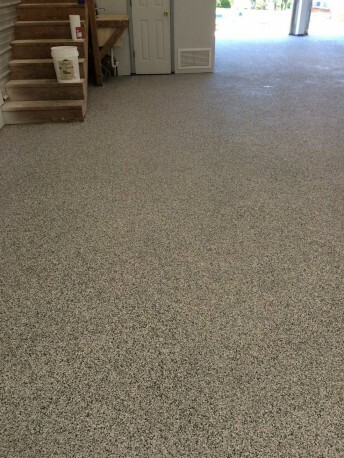 While some argue that the flake in this system provides a function such as traction, the flakes are there for appearance and to hide imperfections in the floor. Your next question is which system is better? I always answer questions like that the same way. 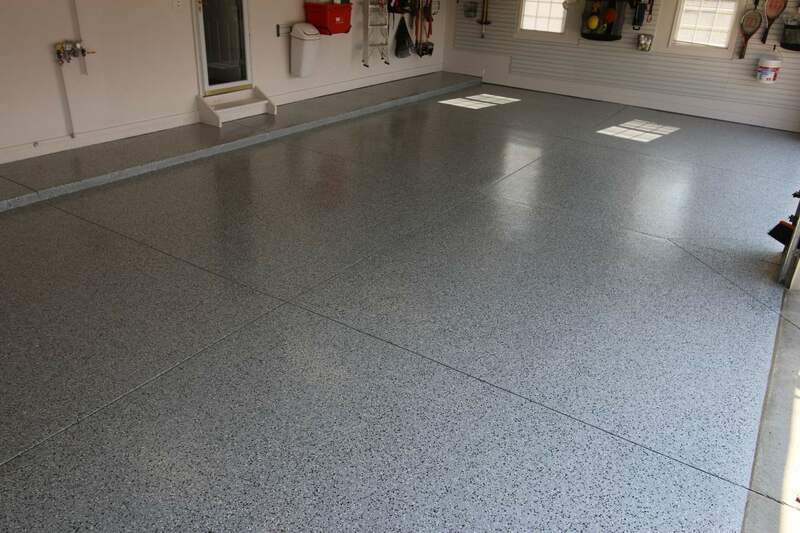 No system is perfect for every application, but if I were doing a garage floor coating on my garage floor I would do a Rust Bullet system or a high solids epoxy.